We all know that regular exercise can do wonders for our mental, emotional and physical well-being. 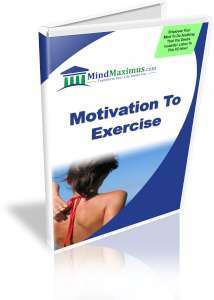 But for most people, finding the motivation to work out regularly can be tough. Sure, we may go for a jog in the neighborhood, or visit the local gym a couple of times… but more often than not, we stop going after only a couple of sessions. Why? The reason is because although we consciously tell ourselves ‘yes’ to regular exercise, the brainwave patterns that we emit do not reflect this affirmation. This creates an internal conflict within us that hinders our desire to work out on a regular basis. Are you finding it hard to stick to a regular exercise program? Do you often postpone an exercise session because you just don’t “feel like it”? Have you often wished you could look forward to a good work out, and thoroughly enjoy your exercise routines? 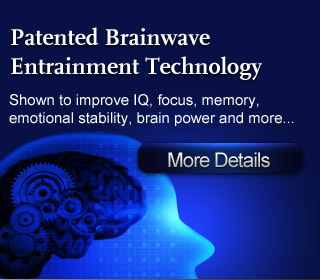 Thankfully, with today’s advanced Brainwave technology, we are now able to align our desires with the brainwaves that we emit, effectively manifesting our goals into reality through the thoughts and actions that follow. In other words, just by aligning our brainwaves with our desire for more exercise, we can bring about the motivation and change that we’re looking for to finally be able to actually enjoy a regular exercise session – not avoid it! No reviews on F02 Motivation To Exercise so far.